Implementation of different Anti Poverty Programme through Blocks and Line Deptt. PMAY-G ( PRADHAN MANTRI AWAAS YOJANA- GRAMIN) aims to provide a pucca house with basic amenities to all houseless households and households living in kutcha and dilapidated house in rural areas by 2022. To achieve the objective of “Housing for All” the target number of houses to be constructed by the year 2021-22, is 2.95 Crore. The immediate objective is to cover 1.00 Crore households in rural areas, that are houseless or living kutcha/ dilapidated house, in three years from 2016-17 to 2018-19 and enable construction of quality houses by the beneficiaries using local materials, designs and trained masons. For houses to become homes, adoption of a habitat approach through convergence is proposed. BPGY ( Biju Pucca Ghar Yojana), Government of Odisha is committed to provide Pucca House to all the rural households living in Kutch House. Objective of the scheme is to convert all kutcha houses into pucca house in rural areas of the state in mission mode approach. 2017-18(PMAY-G) 2715 787 Balance 1928 nos of houses are under progress. The “Mahatma Gandhi National Rural Employment Guarantee Act”, MGNREGA,is an Indian labour law and social security measure that aims to guarantee the ‘right to work’. It aims to enhance livelihood security in rural areas by providing at least 100 days of wage employment in a financial year to every household whose adult members volunteer to do unskilled manual work. Another aim of MGNREGA is to create durable assets (such as roads, canals, ponds, wells). Employment is to be provided within 5 km of an applicant’s residence, and minimum wages are to be paid. If work is not provided within 15 days of applying, applicants are entitled to an unemployment allowance. Thus, employment under MGNREGA is a legal entitlement. Aims and Objectives:-The Fourteenth Finance Commission was constituted by the President on January 02, 2013 to give recommendations on specified aspects of Centre –State fiscal relation during 2015-20. The FFC has recommended Grant-In-aid to duly constituted Panchayats( Rural Local bodies) and Municipalities ( Urban Local Bodies) in two parts, namely – (i) a Basic Grant and (ii) a Performance Grant. In case of Gram Panchayats, 90% of the Grant will be the Basic Grant and 10% will be the Performance Grant. 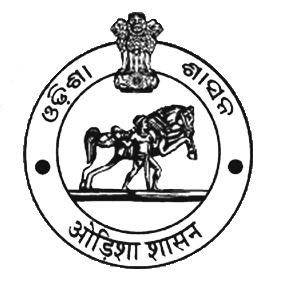 Aims and Objectives:-A new initiative called Gopabandhu Gramin Yojana (GGY) was launched by the Government of Odisha during 2006-07 with a view to provide additional developmental assistance to the targeted 11(Eleven) districts of the State not covered under the Backward Regions Grant Fund (BRGF). Due to inclusion of Bargarh district under BRGF Scheme during 2012-13, the number of districts has been reduced to 10. With this Scheme, Rural Connectivity and quality of rural life has undergone tremendous change. The principal objective of the scheme is to provide additional development funds to the targeted districts to provide infrastructure consisting of Bijili, Sadak and Pani (i.e. electrification, roads and water supply) to every revenue village in the identified districts on need based manner. Aims and Objectives:The Panchayati Raj Department, Government of Odisha have taken initiative in the past for construction of Cement Concrete Road in the village under various schemes in order to improve the quality of life and hygienic conditions in the villages. It has become a very popular scheme and one of the most sought after schemes in the rural areas. In the past, though cement concrete roads were taken up under different schemes, all the villages have not yet been covered. The State Government has decided to give thrust to the scheme for construction of intra village cement concrete roads in the villages with the objective of attaining saturation in the State with special focus on PVTG (Particularly Vulnerable Tribal Groups)/ST/SC habitations. Aims and Objectives:-To ‘strengthen’ Gram Sabhas in PESA areas and to enable its efficient functioning in areas under PESA, the Rajiv Gandhi Panchayat Sashaktikaran Abhiyan (RGPSA), a new scheme of the Ministry being implemented from March 2013 onwards, addresses the major issues concerning awareness about rights of the people in Schedule V Areas. It provides for deployment of one mobiliser in each Gram Sabha and one Coordinator at Block/District levels. Funds have been provided for orienting Gram Sabha on PESA related issues and States can involve NGOs, if required, in whole process. All these activities have been integrated in the overall programme of capacity building undertaken by the States in coordination with their State Institutes of Rural Development (SIRD).